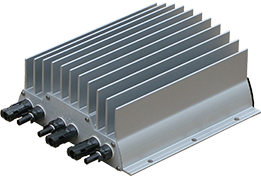 Ampt DC power management to optimize new and existing PV systems. Ampt optimizers lower total system cost while increasing lifetime performance on new builds. Upgrading your existing PV system with Ampt optimizers maximizes annual project revenue. Ampt optimizers are storage-ready and enable low-cost DC-Coupled storage. Optional wireless communication provides string-level data to enhance O&M capabilities. Ampt products feature patented technology that enables PV systems to deliver more value than traditional systems. 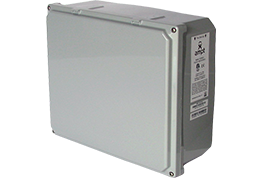 Lower the cost and improve performance of new PV systems, repower existing systems, and enable low-cost DC-coupled storage. High-accuracy synchronous performance data from Ampt DC optimizers. Learn how an optimized DC-coupled storage solution was used to maximize the value of one of the largest DC-coupled storage systems in the world.